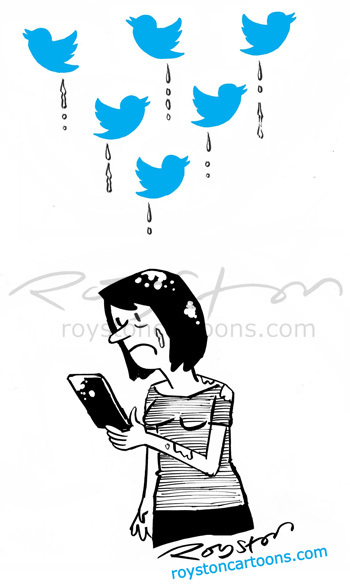 From the current issue of Private Eye, a cartoon about Twitter abuse, and the site's seeming reluctance to tackle the problem. This one comes with a celebrity endorsement! I hate it. And you're rubbish. Just kidding! Promise. Good job,R. Excellent! This one has proved popular on twitter I would imagine! Fairly. 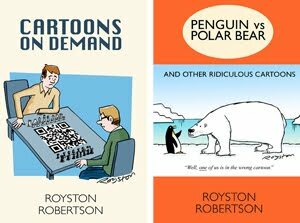 A celeb endorsement is always nice, even if it is a dodgy smartphone photo of the cartoon. Though by retweeting any praise you tend to lose as many followers as you gain!